Extinction is the end of a species, marked by the death of the last member of that species. In 1796, the French naturalist Georges Cuvier presented convincing evidence that established extinction to be a fact, and it is estimated that more than 99 percent of all species that have ever existed are now extinct. Fossil evidence documents that over the past 500 million years, there have been five major extinction events—the most recent occurring during the Cretaceous period 65 million years ago, which eliminated more than half of all marine species as well as many families of terrestrial plants and animals. Its cause is thought to have been an asteroid or comet. In more recent times, extinctions have been attributed to climatic changes, genetic factors, and habitat destruction and pollution. Other identified causes are overexploitation by hunting and fishing, the introduction of invasive species, and disease. 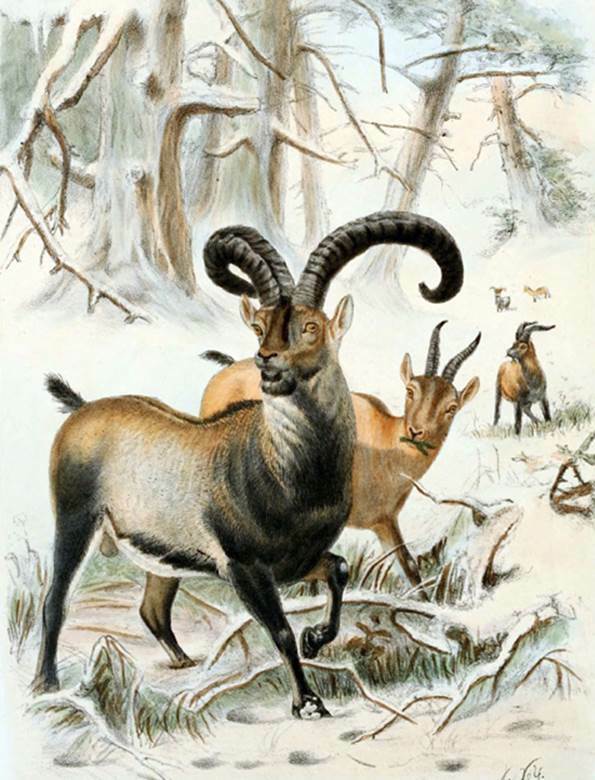 In more recent times, extinct species have included the woolly mammoth (3,000–10,000 years ago), passenger pigeon (1914), Tasmanian tiger (1930), and the Pyrenean or Spanish ibex (2,000). But not all scientists accept the premise that “extinct is forever,” and there have been active de-extinction efforts to bring back extinct animal and plant species. The most widely proposed method has been by cloning, which was popularized in John Brosnan’s Carnosaur (1984) and Michael Crichton’s Jurassic Park (1990). In this de-extinction process, a viable DNA sample is taken from a species that has been extinct for no more than thousands of years—not millions of years, as in these novels—and gestated in a host animal. Thus far, limited de-extinction success has been achieved. In 2003, Spanish researchers used frozen tissue obtained from the last living Pyrenean ibex that had died three years earlier, which was implanted in a goat; this attempt was unsuccessful. In 2009, an ibex clone was born alive but died seven minutes later from an unrelated respiratory ailment. Renewed and enthusiastic interest in de-extinction occurred in 2013, with active discussion and debate, as well as plans by Russian and South Korean scientists to clone a woolly mammoth from well-preserved remains found in Siberia. SEE ALSO: Devonian Period (c. 417 Million BCE), Dinosaurs (c. 230 Million BCE), Paleontology (1796), Invasive Species (1859), Coelacanth: “The Living Fossil” (1938), Cloning (Nuclear Transfer) (1952), Silent Spring (1962), Punctuated Equilibrium (1972), Polymerase Chain Reaction (1983). This illustration of a Pyrenean ibex appeared in the book Wild Oxen, Sheep & Goats of All Lands: Living and Extinct (1898) by English naturalist Richard Lydekker (1849–1915).